Andy Weir’s The Martian is my kind of book! It’s the kind of stuff that makes me appreciate being part nerd (and I do mean nerd and not geek). The book appealed to the engineering side of my nerdiness. 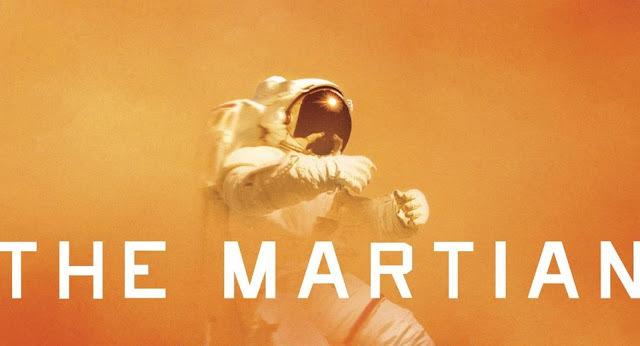 The Martian is about a group of space explorers who land on Mars to further develop colonization efforts. After a massive sandstorm, one of the explorers, a botanist and engineer named Mark Watney becomes separated from his team after colliding with debris. Fearing his death, and perhaps their own, the remainder of the team blast off quickly from Mars in an effort to return to Earth. However, what they don’t know is that Mark is actually alive. Armed with limited resources, and his botany and engineering skills, Watney must stay alive for what he estimates is four years before he can be rescued by the next team. However, Watney must survive the perils and hazards of Mars itself if he’s going to stay alive for four years. The Martian is one of those rare books whose writing style cannot be repeated, or else face the criticism of being a knock-off. Perhaps something similar has been written before, but I don’t think it’s achieved this level of mainstream success. The book is written such that it is HEAVY on math, physics and engineering. It’s written in a way to make it all same logical, practical and realistic. But it’s made as accessible as possible. The math that’s presented is never too difficult. Andy Weir doesn’t bore us with differential equations and derivations. It’s straight up simple math (addition, subtraction, division, multiplication). For example, let’s say he has 800 potatoes but he needs to last 150 more days, how many potatoes can he eat per day? And it’s this sort of equation that’s presented to us over and over. And Mark has to do this if he’s going to schedule and plan his survival, or face eating himself to death (or starving himself, whichever end you’re looking at it from). However, for those who might be thrown off by all the math (and there is a lot of it), the math is not the point. If that confuses you, you can skip the paragraph and just take away that, “Mark’s fucked, he needs to do something. What’s he going to do?”. So for those who want it, it’s there! And as a self-proclaimed geek, I’m glad it’s there! The book flips between first person perspective when we’re dealing with life on Mars with Mark and switches to a third person perspective when it bounces to the NASA and rescue teams on Earth. However, the first time we hear Earth’s perspective isn’t until about a third of the way through the book, so it was a bit surprising when it first hits you. Regarding the story itself, it’s nothing that you haven’t read or seen before in any other mediums. The story is about a man stranded trying to get home. You’ve seen or read that dozens of times elsewhere, and to that degree, the Martian offers up nothing new. However, as I allude to above, it’s in the writing style and approach that makes it unique from let’s say Castaway or Gravity. The book offers all the twists and turns as you would expect for a story where someone is struggling to live. It moves to a real cinematic beat; you can really visualize the story in a movie. Mark Watney is a great character too, who never gets dull despite facing imminent death! He’s cheeky and sarcastic and sometimes difficult to deal with, much to the chagrin of the Earth rescue team. However, as he says, he can do whatever he wants, he’s the one fucked on Mars! At the time of this writing, I haven’t yet seen the movie nor have I read any reviews (however, by the time this is published, likely I’ll have seen it, so I’ll write a short follow-up afterwards!). I’m quite interested to see how far they go with all the math and logistics in a movie format. Without seeing the movie, I feel like Matt Damon can really pull off the spirit of Mark Watney, so I’m excited! Folks, give the book a read! There’s a fun adventure ahead! Until next time, later geeks!